Facebook has today pushed an updated version of Instagram to both the iOS App Store and Android Play Store, giving users a couple of new features that are well-hidden beneath the typically useless release notes. Checking the Instagram app on the App Store or Play Store in order to see what the new version of the app entails is a complete waste of time thanks to Facebook’s refusal to provide meaningful changelogs, but that doesn’t mean we can’t do better. While the changelog for the updated Instagram does at least span more than one sentence, it’s still less than informative. We’re making it easier to see when someone you follow has liked a post. After 4 likes, posts show the number of likes, along with usernames of some people you follow who have liked it. 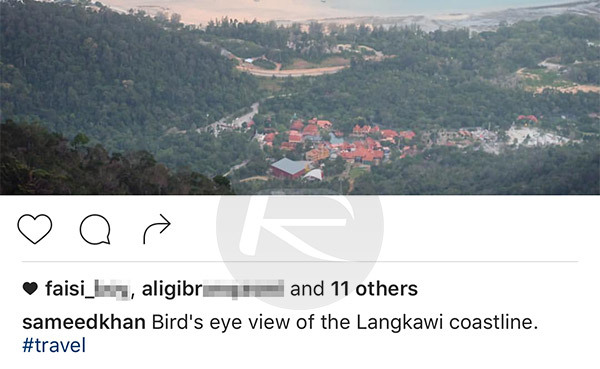 So yes, any Instagram posts with more than four likes will now also show the usernames of people who liked those particular posts so long as the poster is also following them, which is an interesting development. We’re not sure where the odd number of four likes comes from, but so be it. What’s more interesting to us, however, is the feature addition in the iOS variant of the app that apparently didn’t even warrant a mention in the its changelog. The feature of which we speak is the newly redesigned notifications that take advantage of iOS 10 in order to offer new, rich notifications to users. 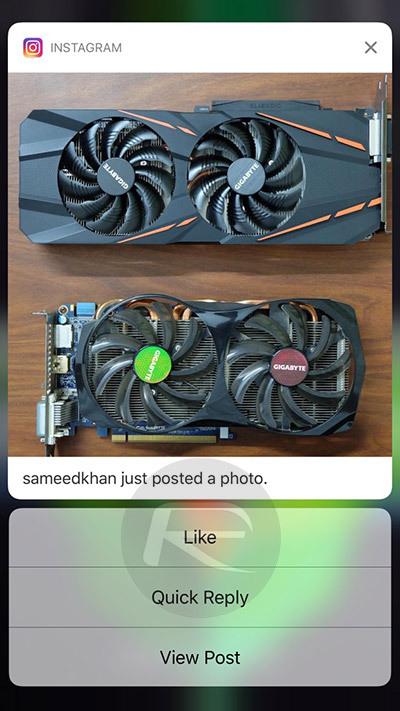 Now, a notification can be swiped or force touched in order to show a list of options for interacting with the associated post, such as liking it or commenting. The latter requires the Instagram app to open, but that’s a small price to pay. To use iOS 10’s rich notifications feature, simply hard-press a notification if you have a newer 3D Touch-enabled device. On older devices, you’ll have to swipe the notification leftwards and tap the View option. The updated Instagram app is now live in the App Store and Google Play Store, ready for downloading.